The overall scope of the program is the research and development of electrochemical power sources, advanced electrolysis, and processes to create clean and sustainable energy particularly related to electrochemistry and electrochemical engineering. Dr. Wilkinson has research interests in the areas of electrode kinetics, electro-catalysis, electro-synthesis, electrochemical cell design and architecture, new materials and associated processes, new analytical and diagnostic techniques, sensor technology, fuel cell and battery systems, electrochemical treatment of impurities, alternative electrochemical fuels and reactant modification, hydrogen production and storage. Recently his research has expanded to include some aspects of solar research particularly those coupled with electrochemistry and the purification of water. A key area of research continues to be fundamental and applied aspects of fuel cell technology. The fuel cell and sustainable electrochemical fuels such as hydrogen and methanol provide the promise of being one of the long-term solutions to the improvement of energy efficiency, energy sustainability and security, and reduction of green house gases and urban pollution. The research goal is focused on closing significant technology gaps, providing a basis for future generations of fuel cells, and simplifying the overall fuel cell system and energy pathways. Dr. Wilkinson graduated from the University of British Columbia in 1978, in Chemical Engineering and received his professional engineering status two years later. From 1977 to 1980 he competed for Canada as a member of the Canadian National Rowing Team. He received his Ph.D. from the University of Ottawa in 1987, in Physical Chemistry / Electrochemistry where his graduate work was done with Dr. Brian Conway. Dr. Wilkinson was an NSERC and Ontario scholar and an Electrochemical Society Summer Fellow during his Ph.D. term. In 2004 Dr. Wilkinson was awarded a Tier 1 Canada Research Chair in Clean Energy and Fuel Cells in the Department of Chemical and Biological Engineering (CHBE) at the University of British Columbia (UBC). Since 2004 Dr. Wilkinson has maintained a joint appointment with the University and the Canadian National Research Council Institute for Fuel Cell Innovation (NRC-IFCI) where he is a senior advisor and carries out collaborative research with the Institute. In 2009 Dr. Wilkinson was appointed Director of the UBC Clean Energy Research Centre (CERC), an interdisciplinary Institute focused on integrated clean energy solutions. Prior to joining the university Dr. Wilkinson was the Manager, Director, and then Vice President of Research at Ballard Power Systems where he was involved with the research that has helped to make Ballard one of the world leaders in the development and application of fuel cell technology. Upon joining Ballard in 1990 he developed a world class research group from scratch that achieved world leadership in a number of areas. Prior to joining Ballard, Dr. Wilkinson was a group leader at Moli Energy and part of the team that developed the world’s first commercial rechargeable lithium AA battery. He has made significant contributions in the areas of electrochemistry , electrochemical engineering , battery and fuel cell technology, and has over 70 patents and 100 publications covering innovative developments in these fields. He has been a keynote or plenary speaker at many international conferences. Dr. Wilkinson is considered to be one of the leading all-time fuel cell inventors by issued US patents (Gowlings-Lee Report). 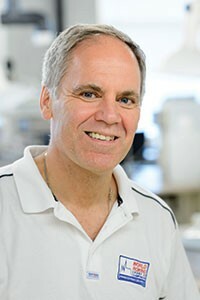 He has received a number of awards for his innovative work including the R.A. McLachlan Memorial award, the highest professional engineering award in the Province of British Columbia, and the Electrochemical Society Battery Division Technology award for work related to rechargeable Li batteries and polymer electrolyte fuel cells. More recently, he was appointed a Fellow of the Engineering Institute of Canada, a Fellow of the Canadian Academy of Engineering, and a Fellow of the Chemical Institute of Canada. He is presently (or has been) a member of several university, government and journal advisory boards. Dr. Wilkinson’s main research interest is in electrochemical power sources, advanced electrolysis, and processes to create clean and sustainable energy. A key area of research is fuel cell technology with an emphasis on closing significant technology gaps, providing a basis for future generations of fuel cells, integrating fuel cell technology with clean energy approaches, and simplifying the overall fuel cell system and energy pathways. Some research areas include engineered materials, electrode kinetics, cell design, new energy systems, new catalysis approaches, and new analytical and sensor technology. With over 20 years of industrial experience Dr. Wilkinson still works closely with government and industrial research in the area of clean energy. L.F. Fang, H.T. Bi, D.P. Wilkinson, J. Stumper, and H.J. Wang, Pressure Drop of Two-Phase Flow in Minichannels Bounded with Permeable Walls, Paper No. 145 (6 pages), 8th World Congress of Chemical Engineering, Montreal Canada, August 24-27, 2009. D.P. Wilkinson, M. Blanco, H. Zhao and H. Wang, Dynamic Flow Field for Fuel Cells, Electrochemical and Solid-State Letters, 10(9) ppB155-B160 (2007). C.Song, L. Zhang, J. Zhang, D.P. Wilkinson and R. Baker, Temperature Dependence of Oxygen Reduction Catalyzed by Cobalt Fluoro-Phthalocyanine Adsorbed on a Graphite Electrode, Fuel Cells, No. 1, pp 9-15 (2007). D.P. Wilkinson, Current Status and Next Generation Advances in Fuel Cell Research and Development, Materials Science Forum, Vols. 539-543, pp 248-253, Trans Tech Publications, Switzerland (2007). F. Moraw, K. Fatih, D.P. Wilkinson and F. Girard, Evaluation of the Fe(III)/ Fe(II) Redox Fuel Cell Cathode Couple in a Bioelectrolytic Solution, Advanced Materials Research, Vols. 15-17, pp315-320, Trans Tech Publications, Switzerland (2007).